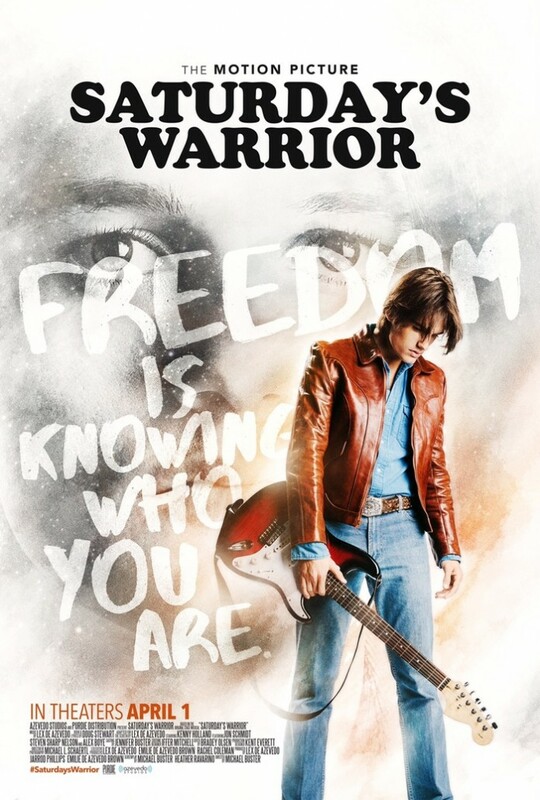 “Saturday’s Warrior” is the feature film adaptation of the “Saturday’s Warrior,” the stage musical, and is directed by Michael Buster from a screenplay by Buster and Heather Ravarino. The story is set in the 1970s and includes all the characters and music that have inspired a generation. The film will contain several new songs written by Lex de Azevedo. The film opens in Utah theaters on April 1, and will expand into additional markets. “Saturday’s Warrior” is rated PG. Centered on twins Jimmy and Pam Flinders, the musical begins with a group of spirits making promises to each other before coming to live on Earth. However, with those promises forgotten, Jimmy, Pam and all the others find themselves on very different paths once on Earth. Jimmy (Kenny Holland) loses himself seeking stardom, and struggles with his faith, his identity, and his relationship with his family. Devastating tragedy strikes Pam, (Anna Daines) and her family. But will this devastation destroy Jimmy or help him rediscover who he really is? And what of the others? Will their promises be kept or be forever forgotten?